Is Ned Rocknroll Gay ? Edward Abel Smith aka Ned Rocknroll worked at Virgin Galactic. He is best known as the third husband of English actress, Kate Winslet. He came to media attention after dating Winslet. The duo married in 2012 in New York. The couple shared a son, Bear. Ned Rocknroll was born as Edward Abel Smith on January 1, 1978, in the United States of America to Lindy Branson and Robert Abel Smith. Rocknroll was quite young when his parents divorced and soon after their divorce, he started living with his mom and stepdad, Robin Brockway. He is the nephew of Richard Branson and works for Virgin Galactic. Rocknroll worked at Virgin Galactic but due to his secretive nature, he hasn't revealed much about his career profile. 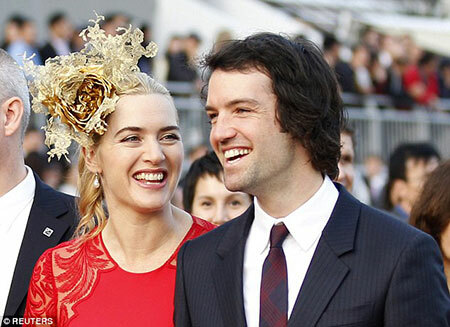 He is widely recognized as the husband of Oscar-winning actress, Kate Winslet. She is best known for her work in period dramas and tragedies, some of her popular screen credit includes Dark Season (1991), Heavenly Creatures (1994), Titanic (1997), Quills (2000) and Iris (2001). Ned Rocknroll is a successful businessman and he also worked for Virgin Galactic. He might have an impressive net worth which he accumulated from his business career. However, his wife is considered as one of the highest paid Hollywood actresses and she has an estimated net worth of $45 million. The couple owned a luxurious house in England priced at $4.2 million ( £3.25 million). Ned Rocknroll is in a marital relationship with Hollywood actress, Kate Winslet. The duo exchanged vows in an intimate ceremony in New York in December 2012 shortly before Christmas after dating for a year. The duo first met in 2011 while holidaying at Richard Branson's estate on Necker Island and from where their love story blossom. The couple was again spotted together holding hands at San Francisco Airport. During that time his divorce was finalized with his first wife. They share a son, Bear Blaze Winslet (born on 2013). As of now, he is living a blissful married life with his wife and son in West Wittering, Sussex. Previously, Rocknroll married the eldest daughter of a wealthy British Viscount Cowdray, Eliza Pearson in 2009. But the couple couldn't handle their relationship and filed for a divorce in June 2011 which was finalized in September. The couple has no children. Winslet also married twice before tying a knot to Rocknroll and she has two sons from her previous husband. In 2008, Ned Rocknroll changed his name from Edward Abel Smith because he wanted to change his boring birth name into something fun. At first, he considered having no surname at all, but that was not an option legally, so, he chooses Rocknroll as his surname. Eliza Pearson is the eldest daughter of a wealthy British Viscount Cowdray. The duo married in 2009 and divorced in 2011. Kate Winslet is a Hollywood actress. She is best known for her work in period dramas and tragedies. Bear Blaze Winslet is best known as the son of Kate Winslet. He was born in 2013. He has two half-siblings.